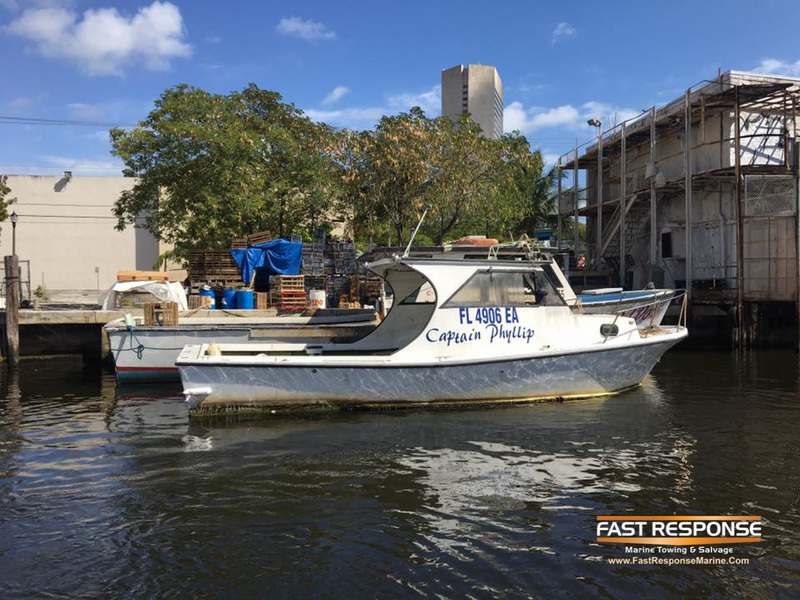 Captain Chuck and Captain David were dispatched to the Miami River on Saturday, Feb. 6, 2016, to refloat a 30′ shrimp boat sunk at the dock. 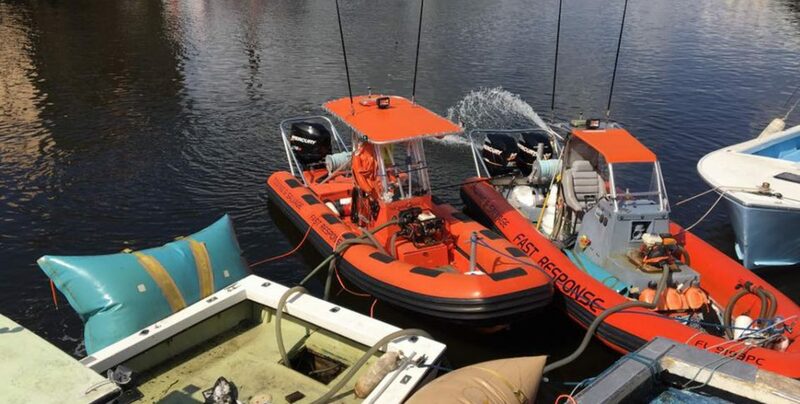 Salvage operations were quickly started to mitigate any pollution, and the vessel was re-floated to work another day. Back above water to work another day!